Welcome to KB Computer Repairs we are experienced in repairing and troubleshooting all Sony Vaio computers and Sony Vaio laptops models. We can repair and fix your Sony laptop in your own home because we are mobile, we can fix hardware issue and software issues, if you think that your PC needs a health check, viruses cleaning, screen replacement then don’t go father we are here to help you fix it with an affordable price. We troubleshoot and repair networking issues with Sony computers, if your Wi-Fi driver need updating we can install the latest update for your Sony computer, we offer to our customer adverts and viruses cleaning for their Sony machines and we advise them which anti virus to get to ensure that their computer is safe to use. 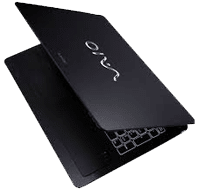 Whether your warranty with Sony Vaio has expired or you simply want an affordable and quick solution to your Sony Vaio worries, we can assist you today. We provide a comprehensive range of computer repair services throughout all the towns of Sussex.